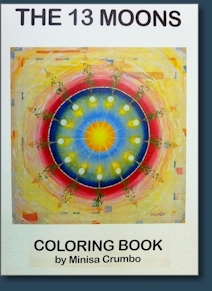 Minisa Crumbo offers the "13 Moons" from the Medicine Wheel teachings in a full size adult coloring book for artful meditations. 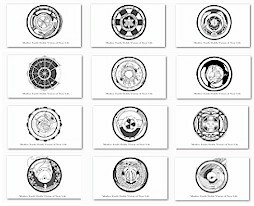 Moon Circle art is also available on our notecards. 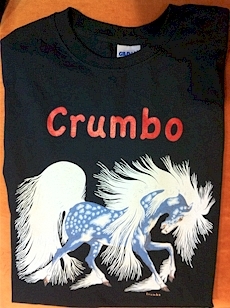 NOTE: Contact us for multiple orders and discounted shipping. We all seek power. We all want happiness. There is no shame or blame, but it's not the Neshnabek (Potawatomi) way, in serving our own highest good first and in recognizing that the highest good functions best when it is in healthy and balanced relationship with the CREATOR. 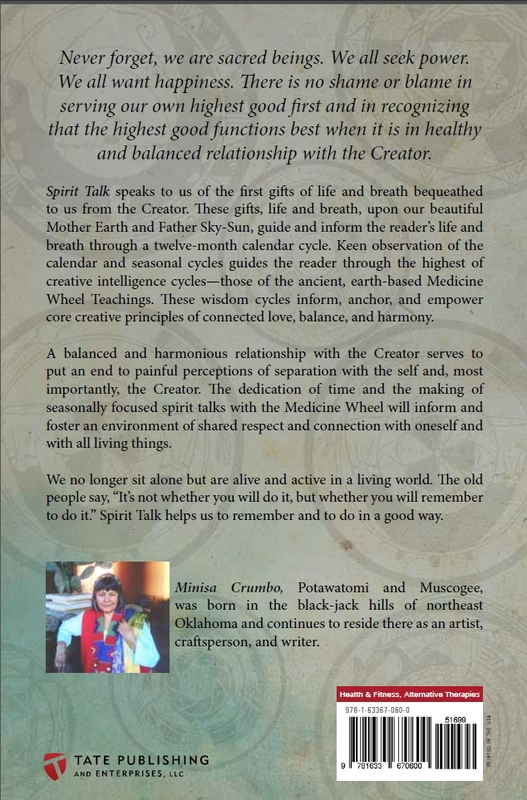 SPIRIT TALK speaks to us of the first gifts of Life and Breath bequeathed to us from the Creator. These gifts, Life and Breath upon our beautiful Mother Earth and Father Sky-Sun, guide and inform the reader's life and breath through a 12 month calendar cycle. 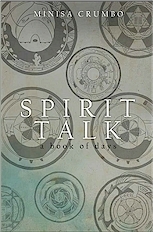 Get Combined shipping when you order "Spirit Talk" and "Spirit Talk Illustration Cards" together. The card assortment consists of twelve cards, black and white images with 12 different messages, thank you note size on heavy stock. For examples see the art scroll on the art page. A documentary video produced and directed by Minisa Crumbo Halsey. 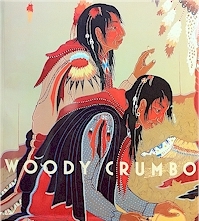 Woodrow Wilson "Woody" Crumbo (January 21,1912-April 4, 1989) was a Citizens Band Potawatomi artist, flute maker and dancer. 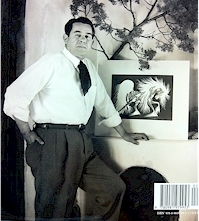 His paintings are held by The Gilcrease Museum, the Philbrook Museum, the Metropolitan Museum of Art, the Smithsonian Institution, the San Francisco Museum of Art, the Koshare Indian Museum, the Wichita Indian Center and many others. A 1978 inductee into the Oklahoma Hall of Fame, Crumbo became an 'ambassador of good will' for Oklahoma in 1982 under appointment by Governor George Nigh. 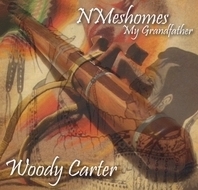 Woody Carter is Citizen Band Potawatomi and Muskogee Creek and plays the native flute. 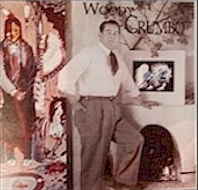 The title of his first CD is NMeshomes and it means My Grandfather in the Bode'wadmi (Potawatomi) language. 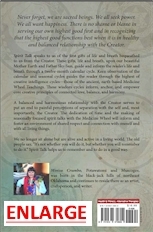 Bear Heart, a full-blooded Muskogee Creek Indian and one of the last "trained" Medicine Men, shares this knowledge, combining it with his more formal, graduate degree in psychology to build a bridge between Native American and modern spirituality. Categorized as an autobiography, the book is nevertheless constructed episodically rather than chronologically, resulting in a lack of fluidity that may distract some readers. 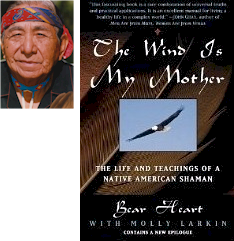 The first section describes Bear Heart's family, their beliefs and the calling and training he received to be a medicine man. In the second section, great truths of Native American beliefs and Christianity find parallels. Section three further describes the relationship of human beings to each other, to nature and to the Great Being; the importance of the Sacred Pipe; and the purposes of vision quests. It concludes with this question: "The word 'memorial' does not indicate that someone has died. It symbolizes that someone has lived. What is going to be the living memorial that you're going to leave behind?" Reginah WaterSpirit, Bear Heart's Medicine Helper for over 25 years, is a talented artist in her own right and a Voice Dialogue Coach. She is making items and artwork available to all those who have been touched by Bear Heart's work and writings and would like a memento.